We Can’t Fix Everything, But We Can Fix This. LET’S GIVE THESE BABIES A HOME TODAY!!! Thank you. 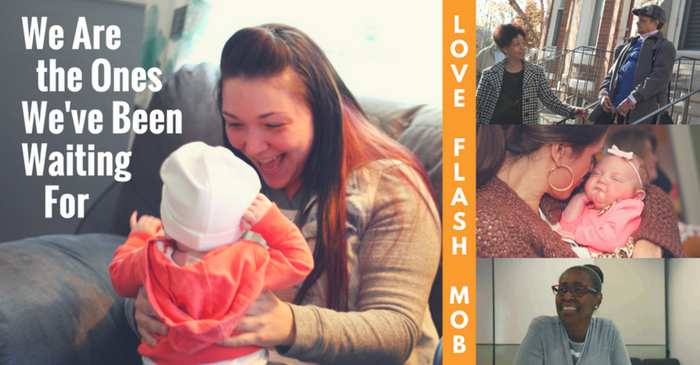 The Love Flash Mob is done, and once again: YOU MADE A MIRACLE!!!!! 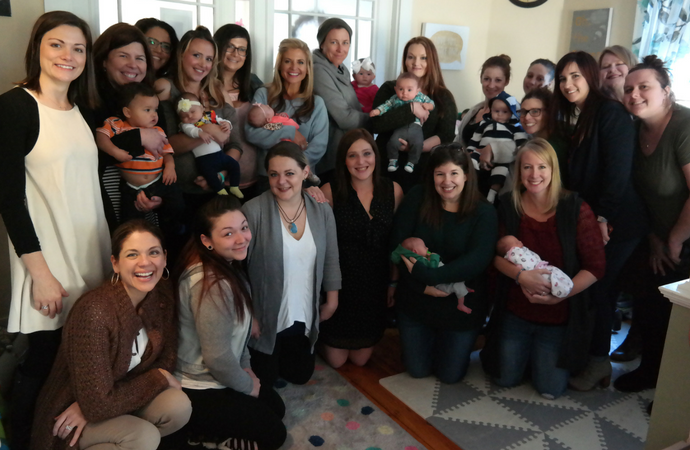 Because of your commitment to show up for our sisters – Hope on Haven Hill will receive $175,000 dollars – which is EXACTLY the amount of money needed to secure the transitional home for Ari, Haven, and the other warrior mamas and babies. They will have their home- to continue to heal and STAY with their babies. Because of you. 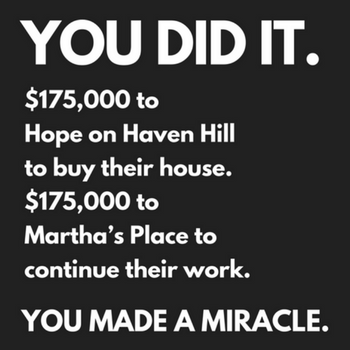 It was always our intention and commitment to give Martha’s Place the exact same amount that we gave to Hope on Haven Hill. Martha’s Place’s dream number — the number that would keep their life-saving, community-healing work going for the next year — was $103,000. An hour ago, they learned that they’d be receiving $175,000. The world is a hard place, and pain abounds. The world is also a beautiful place where love abounds. Thank you for proving that We Belong To Each Other, once again. No matter what, we will keep showing up for this brutiful world. Love can’t be beat if it won’t quit. We won’t quit. Thank you. 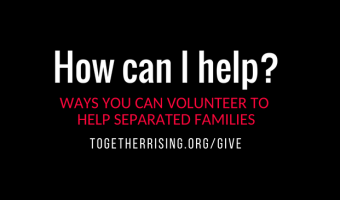 If you want to be part of the year-round work of Together Rising, please consider making a one-time, quarterly or monthly tax-deductible donation HERE. As always, 100% of what receive from you goes to people in need. 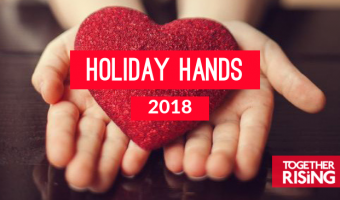 You can also donate as a holiday gift and receive a downloadable gift certificate for the holidays. Please click Give Now to donate. These miracles happen because of $10 & $25 donations from thousands of people. 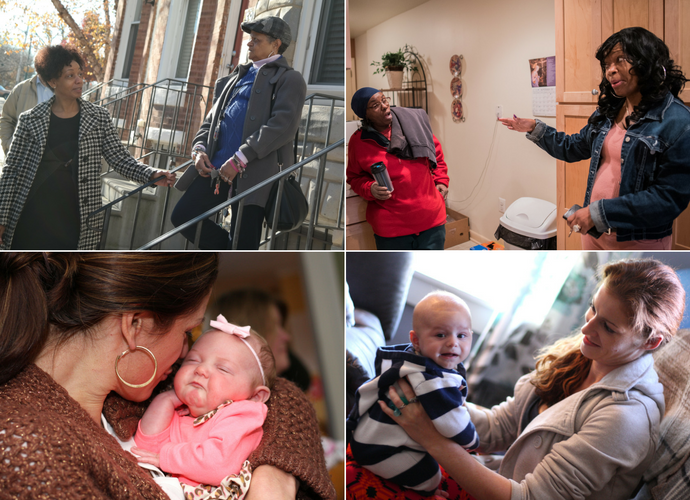 Every penny we receive from your tax-deductible donations will go directly to Hope on Haven Hill & Martha’s Place— any extra will fund recovery homes across America. We’re going to buy it together, so that some brave sisters and beautiful babies will have a home. But I’m ahead of myself. We need to start at the beginning. Our story begins the same way every world-changing movement begins: with one woman and her broken heart. Brokenhearted women will save the world. They always have. Let me tell you a story about how that works. There once was a woman named Kerry and her heart was broken. Kerry is a prenatal nurse in Rochester, New Hampshire. Like so many towns across America, Rochester has been ravaged by opioid addiction. Drug overdose is now the #1 killer of Americans under 50. The number of heroin-related overdose deaths increased 533% between 2002 and 2016. On average, 91 Americans die every day from an opioid overdose. 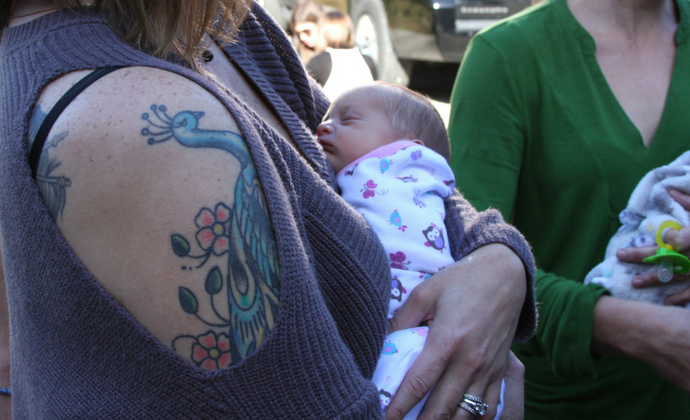 Every 25 minutes, a baby in America is born suffering from opiate withdrawal. These are not statistics to Kerry – these are friends, patients, and family. Kerry’s son had just suffered an overdose when, in 2015, a young pregnant woman who was homeless and addicted to opioids came into the prenatal center for help. With such a severe lack of resources in the community, Kerry had nowhere to send her. Kerry’s helplessness became too heavy to bear on her own – so she reached out to her community to ask for help. There once was a woman with a broken heart. She decided to reach out . . .
Kerry got on Facebook and wrote something like: I’m brokenhearted. Anyone else? She waited. Then her friend Colene, a local doctor, responded with: Me too. I’ve been desperate to do something for two years. The two got on the phone and talked about how overwhelming their town’s pain was, and how they really need a safe place to get these mothers and babies off the streets to heal and be loved. And Colene said: I have a home we can use. I’ll move my family into something smaller. And she did. She moved her family of four, plus two pets, out of her own home. She made room. Kerry gathered the other brokenhearted troops in Rochester and together they renovated the home and turned it into Hope on Haven Hill – a safe, beautiful, nurturing, highly structured home where pregnant and addicted women recover with their children and begin again. Where addicted women can get well without fear of their kids being taken away. The Together Rising Board went to Hope on Haven Hill in October. We went to represent YOU, so I should say: You went to Hope on Haven Hill. You went to listen to mothers, to hold babies, to learn from heroes, to stand astonished at the pain, courage, overcoming, and sisterhood. You went to bring gifts: blankets to wrap around babies and necklaces to remind each mama that she’s a warrior. Heroin addiction had so ravaged her mother’s and brother’s lives that Ari vowed she would never use it. 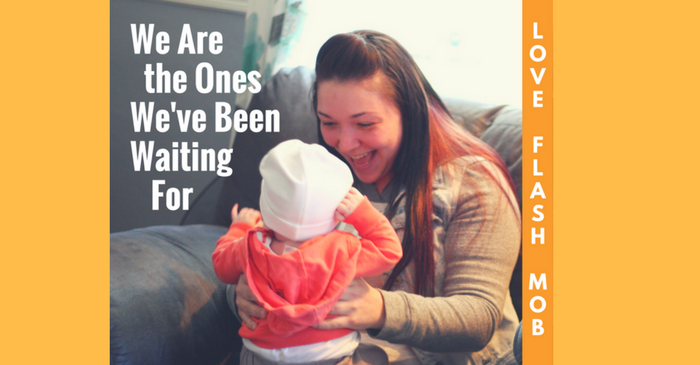 Yet, by the time she found out she was pregnant with her third baby, Ari was severely addicted to heroin. This is when a friend took her to Hope on Haven Hill. Ari became the first resident on the first day it opened. She worked tirelessly for her own recovery. Kerry stood beside her. In fact, Kerry was the only person Ari invited into the room as Ari gave birth to a little boy she named Haven. Baby Haven – after the home that gave them both hope for a new life. When we asked: What do you need? What is the next right thing for Hope on Haven Hill? Ari and another alumnus, Michelle, told us that since they’ve graduated from the home, they feel strong and hopeful but also afraid. They came from homelessness. And even though they’re working and going to school – it’s near impossible to find safe, affordable housing. 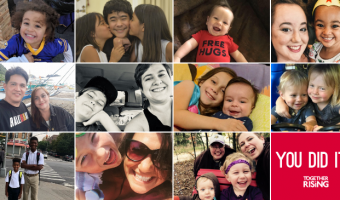 In early sobriety and motherhood – without the sisterhood, without recovery groups – they’re afraid the streets will swallow them up again. We held our breath. YOU DON’T SAY. SHOW IT TO US, PLEASE. It’s the house we’re going to buy today. For Kerry and Ari and Haven and for all the women who right now are sick, pregnant, and alone. We will make it so Kerry can open that front door and say: WE HAVE ROOM FOR YOU AND YOUR PRECIOUS BABY. YOU ARE NOT ALONE ANYMORE. COME IN. THERE IS ROOM. NOW, I need to tell you a vital part of this story. Please come close. 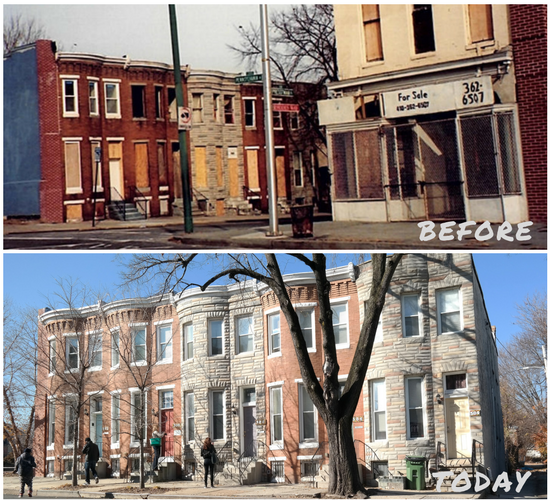 The more we read about the opioid crisis, the more curious we became about this: This opioid crisis – largely suburban and rural – is strikingly parallel to the urban crack crisis of the eighties and early nineties. Both began when pharmaceutical companies introduced a new addictive drug to the market, doctors overprescribed it, people became dependent on it, and all hell broke loose. Here is what is different: The Americans affected by the current wave of addiction are predominately white. The Americans affected by the previous wave of addiction are predominately black. So we started looking at the language America uses to frame both epidemics. Please read closely because we are about to see how language controls our compassion and responses. America responded to the crack epidemic by declaring a “War on Drugs,” so Americans understood that addicts were dangerous enemies we should fear, vilify, and jail. Likewise, the vast majority of the funding to address the War on Drugs went toward building prisons, hiring law enforcement, and incarcerating addicts. Crack addicts (predominately black) faced mandatory minimum prison sentences that were 100 times longer than the sentences of (predominately white) cocaine addicts. Public opinion followed suit: Much of America shamed and dehumanized the victims of the crack epidemic – dismissing them as crackheads and crack whores and crack babies. But now that the addiction epidemic has a white, suburban and rural American face, we aren’t using war language. We are responding by declaring an “Opioid Crisis.” Do you see the difference? When we declare a war, we have enemies to fear. When we declare a crisis, we have victims to help. I don’t know how else to make sense of this other than to say: The response to black addiction in America has largely been war and jail. The response to white addiction has largely been crisis and treatment. Our Board had to reckon with this reality: The “new” drug crisis isn’t new at all – it’s been raging in America for decades. What’s new is that America finally decided to respond appropriately, because the victims now look more like the decision makers. So that’s the hard news. The hopeful news is this: Since the crisis isn’t new, Kerry – and the other warriors scrambling to respond to the devastation of their communities – don’t have to reinvent the wheel. 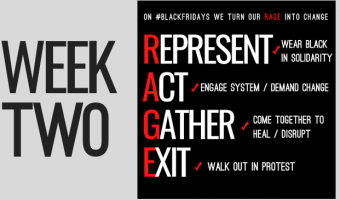 The wheel has already been turning – in the black communities fighting this fight. 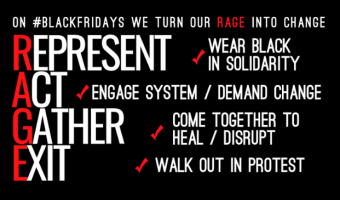 I’ve said this before and I’ll say it again: When you feel shocked and paralyzed by injustice or collective pain, look toward the folks who are not shocked – because the struggle for equality is not new for them. Look for the women of color. Women of color are the generals of justice. 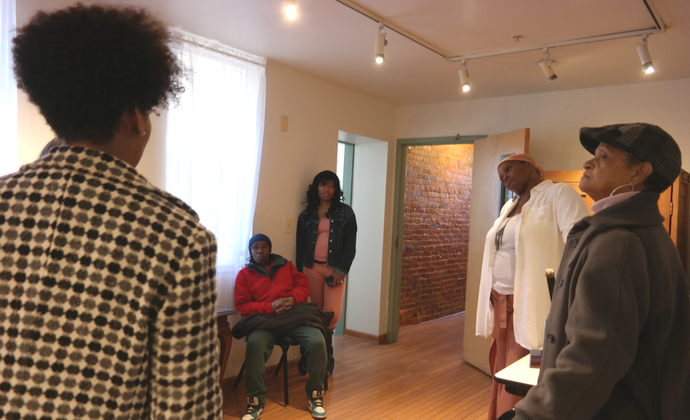 We found our generals of justice on the front lines of the addiction crisis at Martha’s Place in Baltimore – a half a block from an open-air drug market. 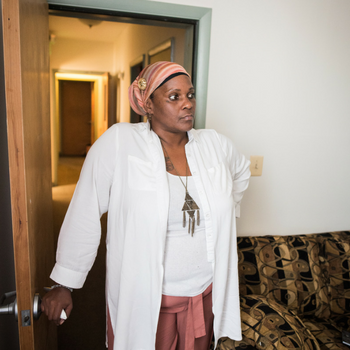 When Ms. Amelia and her husband started connecting with neighbors two decades ago, the people said they desperately needed a place where addicted women could come to get clean. Babies needed their moms healthy again. 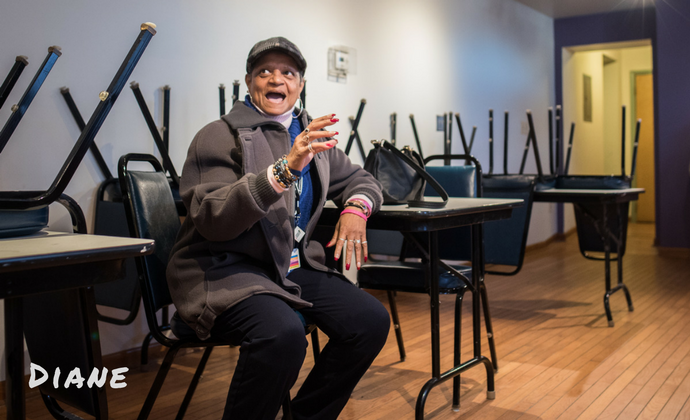 Ms. Amelia, who lost her own sister to addiction, gathered her broken heart, rallied volunteers who were also brokenhearted, and together they purchased and renovated an abandoned building haunted by drug dealers, and opened Martha’s Place in 2000. 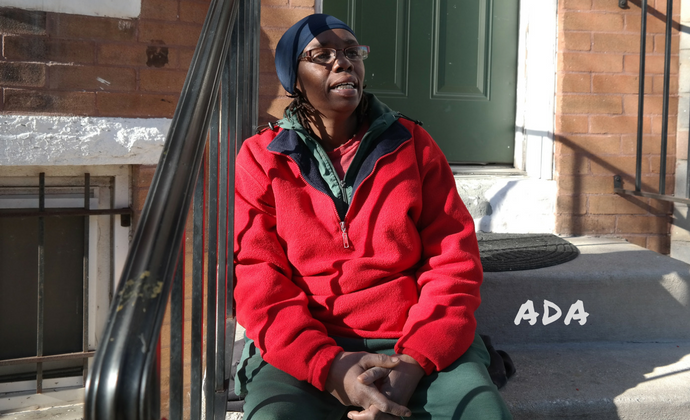 Ms. Amelia and the people of Martha’s Place loved these women and this neighborhood through wartime – before the compassion, outreach, and funds that came in with the wave of an official “crisis.” And they are still struggling to afford to offer these vital resources. 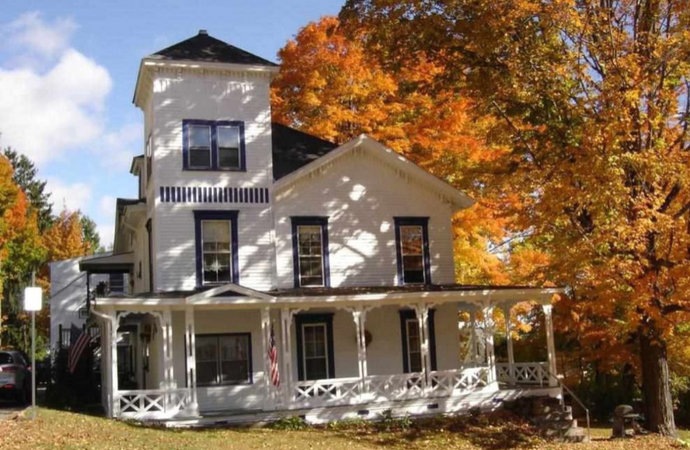 Today, we are asking you to fund the transitional house for Hope on Haven Hill in New Hampshire. And, for Martha’s Place, we are asking you to keep alive the hope, community, and redemption that exists on that corner. To continue the legacy of service at Martha’s Place, we would like to fund an addictions counselor to meet regularly with the recovering women; a program director to help the women with family reintegration, job skills, and placement; investment in alumni coordination so that women further along in recovery can serve as mentors, and alumni can rely on their sisters for continuous support and accountability; and critically necessary repairs to the homes so they can continue their warriors’ journey with dignity. We are all worried about the state of our world. We are at a fever pitch of panic and fear. And, yet, while America is arguing, there are warriors out there helping, serving, and creating a more beautiful world. The world is not changed by our “rightness,” the world is changed by our kindness. Our opinion won’t change the world. But our love might. We cannot fix everything and we cannot save everyone. It is not our duty to worry about what we cannot do. It is our duty to do what we can do. We can do this. 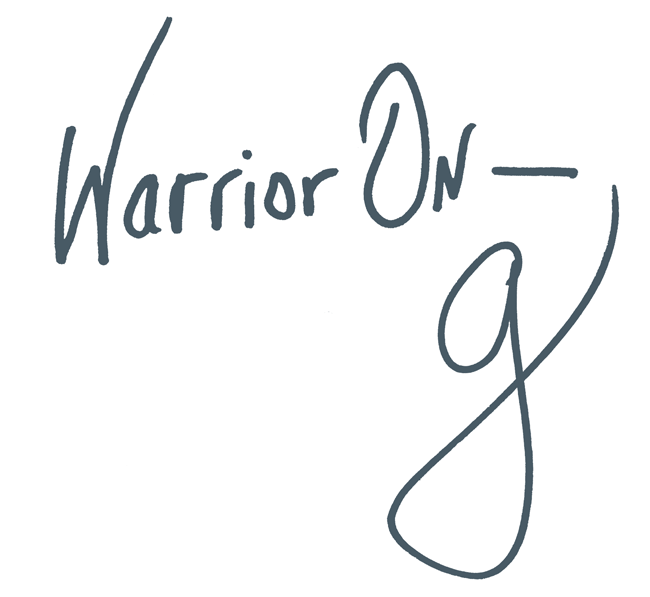 We can join our broken, tireless hearts with these warriors and heal this part of the world, together. Please Give. Every penny we receive from your tax-deductible donations will go directly to Hope on Haven Hill and Martha’s Place – and any extra we receive will fund homes like these throughout America. As always, we will share every detail about how the money is used in upcoming months. 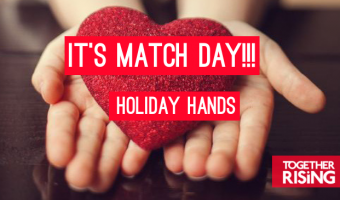 You can make your tax-deductible donation by clicking here or on the GIVE NOW button below. Please give what you can today — $5, $10, $15, or $25 – these miracles happen because of small donations from thousands of people. Today we’re bringing hope to these women and babies through all of our small gifts given with great love. Remember that every donation matters. This is our doorstep and we are the innkeepers. Today we say to homeless mothers and their babies: Come, we have made room for you. Be safe and get well. We love you, and the world needs you. Our team compiled the resources below for you if you or a loved one is suffering from addiction, or if you wish to learn more about this and other drug epidemics. Substance Abuse and Mental Health Services Administration (SAMHSA) national helpline. 1-800-662-HELP (4357) or 1-800-487-4889 (TTY — for deaf/hard of hearing). This hotline can provide free and confidential information for individuals and family members facing substance abuse and mental health issues. You can call 24 hours a day, 7 days a week. General Resources from the Substance Abuse and Mental Health Services Administration. Find information on locating physicians and treatment programs authorized to treat opioids, such as heroin or prescription pain relievers, around the country. Heroin Anonymous (HA). HA describes itself as “A fellowship of men and women who have found a better way of life, free from heroin addiction. Our fellowship is based on a twelve-step program of recovery . . . There are no dues or fees for membership.” (The website lists meetings and reading materials). Opioid treatment program directory. A list of opioid treatment programs in each state. Behavioral health treatment locator. An anonymous source of information regarding behavioral health treatment facilities. Buprenorphine treatment practitioner locator. A source to locate physicians authorized to treat opioid dependence with buprenorphine. Overdose Prevention Toolkit. A guide to opioid use, overdose, recovery, and facts for community members. Partnership for drug-free kids. A non-profit supporting families struggling with a child’s substance use. You can call the helpline at 1-855-378-4373, live chat, or email them for more information, resources or help. Directory of Single State Agencies for Substance Abuse Services. A directory of state-funded drug treatment facilities. How to help an Opiate Addict. How to help an opiate addict including talking to a loved one, signs, and treatment. Opioid Vs. Crack Addiction: A Racial Double Standard? 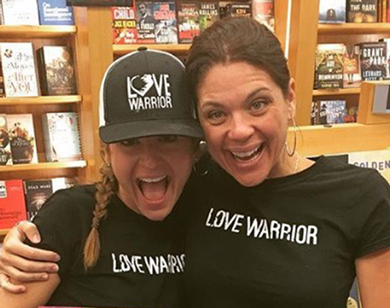 ← PreviousGift Guide for Love Warriors 2017!!! Next →EMERGENCY LOVE FLASH MOB! 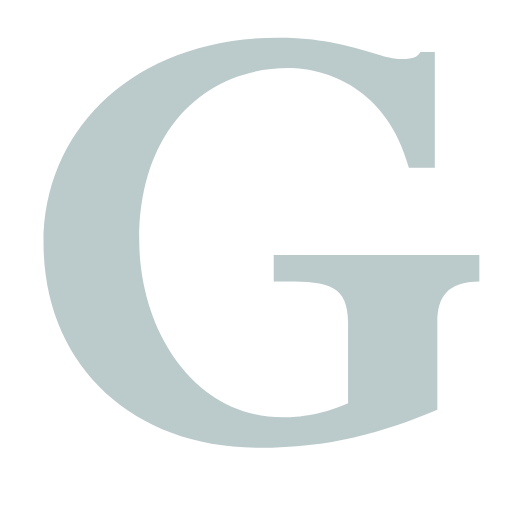 GPS gadgets are obtain-best electronics; they do no longer transmit facts or engage with different sectors of the device. This allows an unlimited variety of simultaneous customers. So true. We can’t fix everything alone but we can do something in our own small way to make a big difference. The information you share is great and useful. Thank you for sharing. This is Very helpful advice in this particular post! It’s the little changes that make the largest changes. Thanks for sharing! I read your article and find you article is full of information. Keep posting that is very helpful for those people who is looking for these kind of information. Good post. I found a lot of necessary info here. Your article is really great. Thank you thank you thank you. For giving words to my heart and for DOING something. You go, girls! Brokenhearted women will save the world! Wishing you abundance in all aspects of your lives, loving girls! Thanks for sharing. Thanks for such a nice article and you are right we cannot fix every problem in our life. Very good, I think I found the knowledge I needed. I will see and refer some information to your post. thank you. The 28th edition featured by 28 Categories with 42 field which consisted 306 events. It is the first time, the Olympic games will be hosted at South American state and Rio became the first city of South America that maintain the rights of hosting the most prestigious event of the year. Here the short detail about the Rio Olympic games. How good that there are still good people who like to help others, this has more hope for the future of humanity. It doesn’t get any more real than this. Opens my heart and brings me to tears. It is amazing what caring people are able to provide our sisters who are hurting and in need of support. I am so impressed by the things that they do to help. I understand that these crises have so many victims and they need our support to get better and move on, but I also think about how this happens in the first place? What can we do to prevent people from becoming victims in need of such help? My top favourite Twitter person RT’d the link, and I am DYING to know how we did! Poor people who do drugs are treated like criminals..its a class difference in my experience..if poor drug addicts are getfing better treatment white or black i think its more awareness of the fact the war on drugs is a sham..we need compassion and love and to stop dividing brother against brother.. Seeing this makes my heart smile. I’m a recovering heroin addict and have been clean for 5 years. What started out as a pill addiction at the age of 14 spiraled into a severe heroin addiction. Finally was able to receive treatment that worked at the age of 26. None of that was possible if I didn’t have my family to support me. But there are so many people that don’t have that kind of support. What you are doing makes it possible for people to finally get help. I’ve seen so many people lose the battle because they didn’t have the resources or the family support like I had. This makes it possible for them. Thank you for opening peoples eyes to the problem and doing something about it. Thank you, thank you, thank you! I read this while listening to my soon-to-be-born baby girl’s heartbeat through a monitor (because I am old and therefore get weekly nonstress tests) and thinking about all of those mamas who also want the best for their babies. 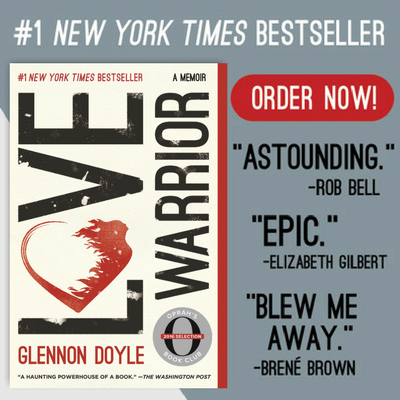 Thank you, Glennon, for finding these warriors and sheroes for us to come alongside. I so needed a reminder that in a world of so much ugly, there are people doing so much beauty. Oh my goodness. This has touched my heart and soul! What an amazing thing you are doing! How long will you be taking donations? Is there other kinds of help and support needed?! Thank you for what you do for women and families!! I was once a recipient of your help, and it was life changing. I am grateful to be on the other side – able to offer help. Thank you for finding and telling these stories, so all of us can be ‘ Jesus With Skin On ‘ to so many in need. Please add AA and NA to your list, not just HA. Their meetings are more available and each individual needs to shop around to find what works. There is no HA in my state. I agree. With the rest of the world at war against us AA and NA and CA and I’m sure there were other a’s as well opened the doors and shared the message of recovery. I know many did not make it. I also know many who were helped. In church basements and prisons and rooms all across the nation recovery was planted in all races . It was not perfect – we are human – but the seeds were sewn for many new lives. I will donate to your houses today. Also would like to mention Al-anon Family Groups. When someone is addicted, many loved ones are affected as well. Al-anon is an organization that helps family and friends of alcoholics. It has been my experience that family and friends who are coping with the effects of drug addiction are also welcome in this fellowship. Donated!! Will we know if we raised enough money?